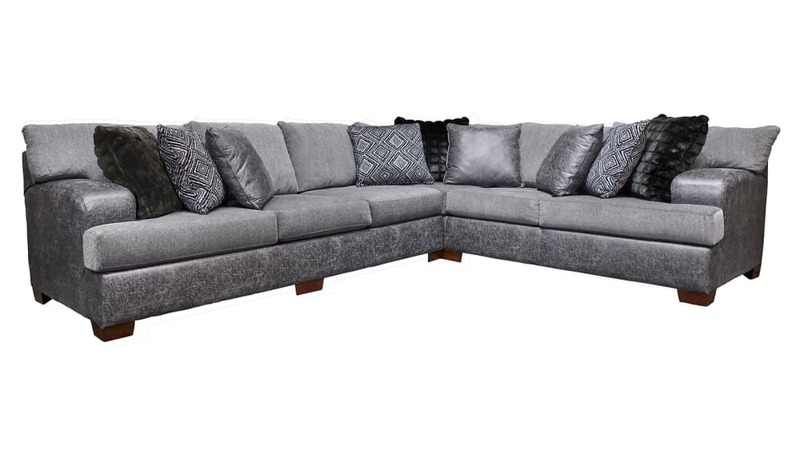 Make a dramatic statement with this sheek sectional and its great details. It features generous oversized track arms, along with loose back pillows and soft cushions for an amazing plushness. Other features include block legs and a micro-fiber base with fabric cushions and pillows.